I’ll get the full disclosure bit out of the way up front. 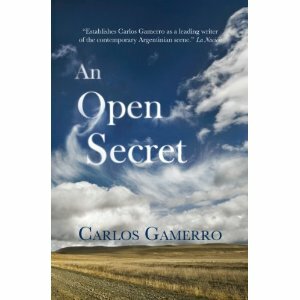 I was sent a review copy of the new English translation of Carlos Gamerro’s 2002 novel, An Open Secret by Pushkin Press, its publisher. I’m very grateful to them for this as it is not a book that I would probably have come across otherwise and, as such, is an object reminder to me to step outside my usual literary territory once in a while. An Open Secret is a forceful exposition of the hypocrisy and cowardice that allow things like forced disappearances to occur and the long-term effects that they have. It is a thought-provoking and powerful read and well worth the effort of getting hold of a copy. Great review! I think that it takes some courage for an author to give a subject like this the balance it deserves. Do you know how the book was received in Argentina? Thanks, Alex. I know that he is very well regarded in Argentina but I don't know what the reaction was to this book. I believe that there is quite a body of literature now dealing with the Disappeared so I don't suppose it was seen as being particuarly controversial but I may be wrong. Did you know you can shorten your links with AdFly and get $$$ for every click on your short links.